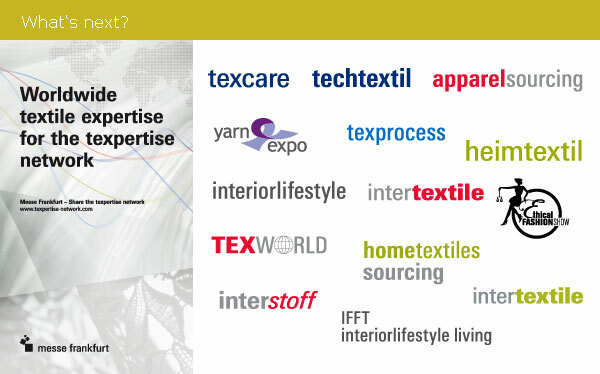 Sustainability & Textiles – these two terms form the poles of the new Texpertise Network Newsletter. Our trade-fair brands and 30 events every year makes Messe Frankfurt the world’s largest network of experts for trade fairs and for this segment of industry. The topic of sustainability is becoming increasingly important and the market for environmentally and socially compatible textiles is growing and, with it, also the necessity for information and communication platforms. This is why, starting from today, we will be providing you with information four times a year on current topics, backgrounds, seminars and products from our textile fairs. In this first issue of the Newsletter, I would like to take the opportunity to thank all those who have supported me for many years in my efforts to establish and promote sustainable topics in the sector. Many thanks! Green fashion retail trade: Wrong track, beaten track or cycle track? 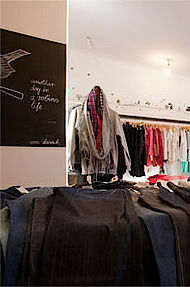 The green fashion retail trade is growing. Within just one year, Germany has seen the birth of numerous new concepts. Is eco fashion on the wrong track? Well, hardly! The fact that H&M have introduced the new Conscious Collection to their stores may have struck even those who are less sensitised to the topic of eco fashion. But what is going on in the world of green concept stores and specialised retailers? Quite a lot! In just one year, Germany has seen the birth of a whole host of new concepts. A Texpertise Network exclusive by Jana Kern on current developments in the eco fashion trade. The Berlin trade fair for high-end, green fashion has found a powerful partner. And the synergies will be exploited from the start, as the GREENshowroom will host the Ethical Fashion Show. It is now all signed and sealed: Messe Frankfurt is to take over the GREENshowroom in Berlin. Supported by Messe Frankfurt's expertise in textiles and international experience of organising trade fairs, Jana Keller and Magdalena Schaffrin will continue to run their trade show on the basis of the original concept. At the first event (6 to 8 July 2011) under the new management, the Ethical Fashion Show will also be joining the party. With the slogan: "GREENshowroom featuring Ethical Fashion Show" the second trade fair for eco-fashion in Messe Frankfurt's portfolio has been invited to Berlin. The international trade fair for sustainable fashion is moving into the Carrousel du Louvre and will be held parallel to the Paris Fashion Week in future. 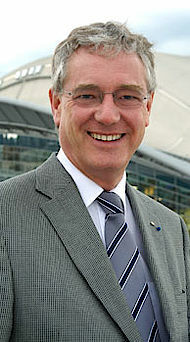 An interview with Michael Scherpe, President of Messe Frankfurt France. A new location, a new date. The Paris Ethical Fashion Show is coming back to the Carrousel du Louvre. Right in the centre of Paris, around 80 exhibitors will be presenting fashion, bags, shoes and accessories manufactured to ecological and social standards. The date was brought forward to 1 to 4 September 2011. Why the ethical fashion market needs change and the challenges confronting it. An interview with Michael Scherpe. Attention all young designers! 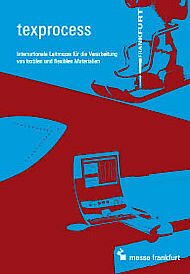 The Confederation of the German Textile and Fashion Industry (Gesamtverband der deutschen Textil- und Modeindustrie e.V.) and Messe Frankfurt have created a new award: the Special Prize for “Sustainable Design” as part of the textil+mode Innovation Award. 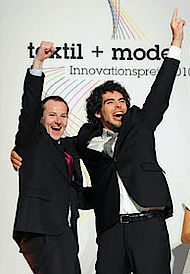 The prize will be presented during Berlin Fashion Week on 6 July 2011. The award promotes young designers whose work reflects ecological and social issues and whose innovative designs convincingly communicate this idea. Premiere of Texprocess and Texprocess Forum from 24 to 27 May 2011. Texprocess is the name of the new leading international trade fair in Frankfurt am Main for processing textile and flexible materials. Leading manufacturers from the garment-manufacturing and textile-processing industry will present their latest machines, plant, processing, IT systems and services from 24 to 27 May 2011. The Texprocess Forum (Hall 6.0) will be held in parallel and offer a three-day seminar programme. A central topic will be sustainability. Materials manufacturers are relying more and more on ecological criteria. 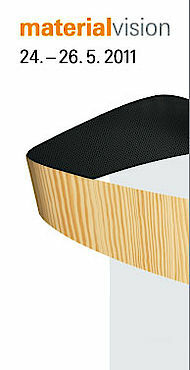 The Design Plus award honours concepts that are especially innovative. Composites made from renewable raw materials, carbon-negative concrete, carbon-neutral biopolymers, innovations in the field of plastics and foams – the number of green products at the Material Vision trade fair in Frankfurt is increasing. Leading materials manufacturers will present their latest eco trends. from 24 to 26 May 2011. The ecological quality of innovative materials is also one of the criteria for the presentation of the Design Plus award. 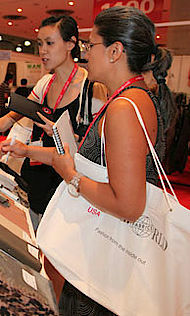 There are two seminars on the topic of sustainability that anyone visiting Texworld USA in New York (19 to 21 July 2011) should not miss out on. Anne Gillespie, Director of Industry Integrity Textile Exchange, will be talking about “Textile Sustainability: Impacts, Integrity & Innovations”. Jamila Payne, President of the National Association of Sustainable Fashion Designers, will address her lecture mainly to young designers who want to find out about how to start an ecologically friendly business. 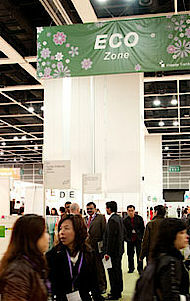 ”Sustainable Sourcing” is the topic at the 2nd International Conference on 19 October 2011 in Shanghai. Sustainable sourcing in the textile and apparel industry: What are current trends? Who is pursuing what strategy? 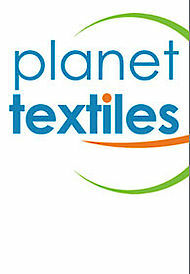 On 19 October 2011, the eco textile scene will go on its pilgrimage to the 2nd Planet Textiles International Conference in Shanghai to spend a whole day discussing the ways and means of “Sustainable Sourcing”. International brand manufacturers will meet leading Asian producers, NGOs and government representatives. The first key note speakers have already been announced. The market for organic cotton is benefiting from the rise in the price of raw materials - the résumé of Interstoff Asia Essential and its “Eco-Partner” GOTS is a positive one. Significant increase in demand in the organic cotton segment versus astronomical prices for conventional cotton. The organic cotton market seems to be benefiting from current market developments. Eco textiles like organic cotton, recyclable materials and other sustainable apparel fabrics have meanwhile become a firm feature of Interstoff Asia Essential in Hong Kong. 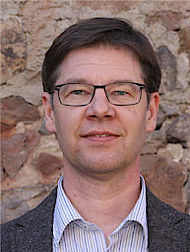 A review of the last event from 16 to 18 March 2011 shows that there is an increasing sensitivity to ecological and social criteria when purchasing fabrics.